Larry Schafer started Larry Schafer Contractors in 1973. Larry worked diligently to build a trusted relationship with the community. 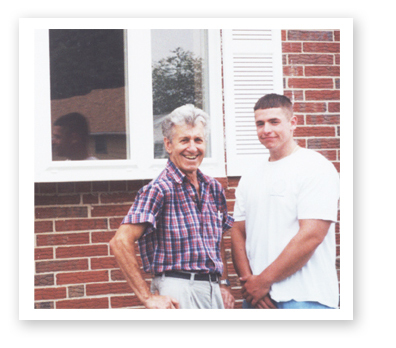 In 1994, Dayson Schafer, Larry’s grandson, began working side by side with Larry, installing replacement windows and doors, learning the business from his “Pop-Pop”. Several years later, Dayson became owner of the company. Dayson now works to maintain the reputation that his Grandfather has built. We are less expensive than other companies because we are family owned and locally operated, so we do not have some of the overhead costs that the larger companies have. Therefore, we are able to offer a quality product, expert workmanship, and personalized attention, for less than our competitors. You can rest assured since we are your neighbors and stand behind the products we offer, that we do not sell or install low quality products. Call us today and see the difference personalized attention and genuine caring for you and your family can offer you in your exterior home improvement.